Three handhelds from the first modern generation of portable game hardware bear mentioning: the Atari Lynx, the Sega Game Gear, and the Nintendo Game Boy. 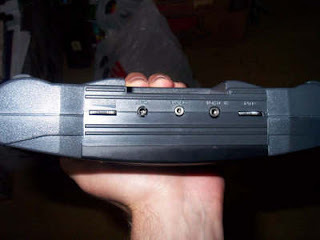 These systems differ from their predecessors in many ways, but the most important was doubtlessly their adoption of switchable, cartridge-based software. No longer limited to simple one-shot novelties, the age of the portable platform had arrived. Released in 1989, the Atari Lynx exists mostly as a footnote in game history, along with distinguished dignitaries like Bubsy the Bobcat and the Virtual Boy. 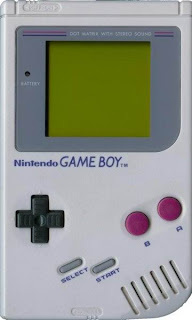 It featured a backlit color screen, something the Game Boy line wouldn’t widely adopt for another fourteen years, but in the face of its mediocre battery life (4-5 hours) and mediocre game library, it wasn’t a viable competitor for long. 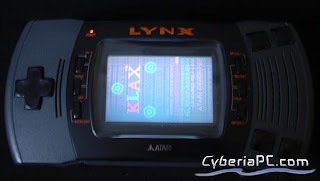 Atari’s Lynx failed, its home console the Jaguar failed, the company failed. The name has stuck around, but they’ve become a bit of a joke in the industry – they’ve been bought and sold at least three times since you started reading this piece. 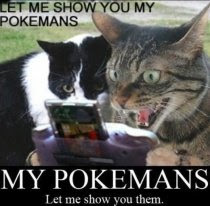 ...but in reality it was the Hummer of handhelds. This looks to be about a quarter of the size of the Xbox 360 power brick, lol. 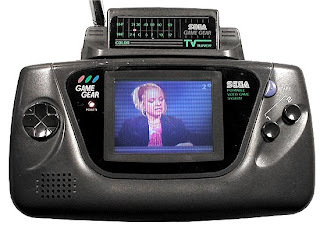 1991’s Sega Game Gear was marginally more successful. The console wars reached spectacular heights during the early 90s, as the Super Nintendo and Sega Genesis sparred with each other for living room dominance. 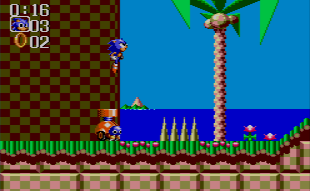 An aggressive advertising campaign, a full color screen and a game library headed up by the then red-hot Sonic the Hedgehog property helped to vault the Game Gear above the Lynx in spite of the similar underlying problems of low battery life and bulky size. It was also home to some... unique peripherals. Sega currently has "no plans" to offer a digital converter box for this TV tuner add-on. Both consoles were, technologically speaking, ahead of their time. They both included features that are mainstays of modern portable design, including their more comfortable horizontal orientation and backlit color LCDs. These are but moral victories, though, because Nintendo’s Game Boy squashed them both, and it and its ilk would maintain a nearly unchallenged monopoly of the portable market for more than a decade. Hi there. I remember you. The hardware was underwhelming compared to its competitors. Indeed, it seems to have more in common with a graphing calculator than with its contemporaries. The system's green unlit LCD screen fails to impress, and its graphical abilities were far eclipsed by even the rapidly-aging NES. There have always been trade-offs for graphical prowess, though, and those are nowhere more evident than here - the original Game Boy got about a dozen hours out of four AA batteries, compared to five hours on six AA batteries for the Game Gear and four hours on six AAs for the Lynx. If you're a parent who has to spend money on batteries for the damn Nintendo, the value proposition here is hard to pass up. The lesser hardware also meant that the Game Boy went for a substantially lower price at launch than its competitors - the Game Boy cost $109, the Game Gear $150 and the Lynx $190. The very simplicity that makes the Game Boy so much less appealing at a glance played no small part in propelling it to the top of the market. 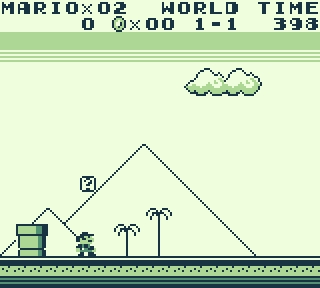 It also had much stronger software support than either of its competitors – the ubiquitous Tetris and Super Mario Land were early successes, with 33 and 18 million sold respectively. Later came portable versions of Nintendo staples, including versions of Zelda and Metroid, and new franchises were built on Kirby’s Dream Land, an easygoing platformer, and Pokemon, an RPG that never really picked up steam. High sales of the device and Nintendo’s nearly uncontested dominance in the late 80s and early 90s also helped make the Game Boy, despite all its technical limitations, the portable platform of choice for third parties as well. This robust and continued software support helped the Game Boy soldier on well into the lifespans of the PlayStation and Nintendo 64 in spite of the its outdated, out-of-style 2D graphics. Nintendo continues to exploit these strategies in the battle against the PSP - the DS is the lesser of the two graphically, but has about three times the battery life and a much stronger game library. But cool your jets, hot shot! We're not quite there, yet. Part IV will detail the follow-ups to the Game Boy, most notably the Game Boys Color and Advance, and the stagnation ushered in by the non-existence of serious competition.